An uplifting novel about the importance of friendship, the value of community, and how ordinary people can protect the things they love. Rosemary has lived in Brixton all her life, but everything she knows is changing. Only the local lido, where she swims every day, remains a constant reminder of the past and her beloved husband George. Kate has just moved and feels adrift in a city that is too big for her. She's on the bottom rung of her career as a local journalist, and is determined to make something of it. Included in the Guardian’s round-up of the best new faces of fiction in 2018, The Lido is an unashamedly feel-good read. Inspired by the south London where the author spent her student years and a passion for outdoor swimming, it’s a powerful book about loneliness, belonging and the importance of community in an increasingly disconnected world. 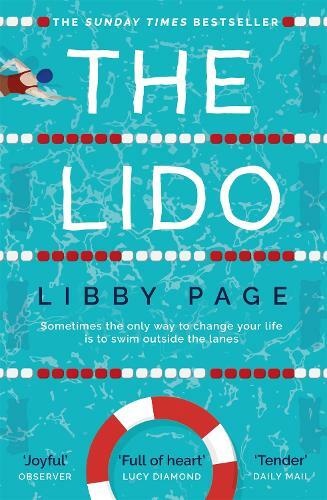 I was sent an advance manuscript proof of The Lido by Libby Page to read and review by NetGalley.